The Board for Professional Teachers also announced that the 25,301 elementary teacher passers are consist of 21,649 are first timers and 3,652 are repeaters. For the secondary teachers, 23,820 passers are first timers and 2,947 are repeaters. The BPT chairman is Dr. Rosita L. Navarro, vice chairman is Dr. Paz I. Lucido, then the members are Dr. Paraluman R. Giron and Dr. Nora M. Uy. The dates and venues for the oathtaking ceremonies of the new successful examinees in the said examination WILL BE ANNOUNCED LATER by PRC. You may bookmark this page now and see the official LET results. For more information about the August 2014 LET Results Secondary/Elementary Level, please kindly share to your joined social networking sites. 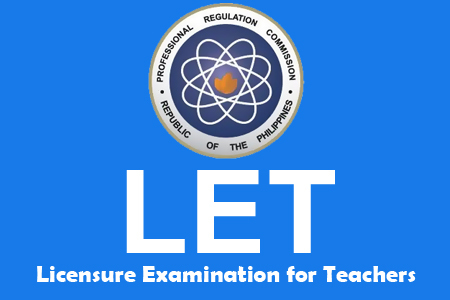 Comments or suggestions about "52,068 total passers of Licensure Examination for Teachers - PRC" is important to us, you may share it by using the comment box below.